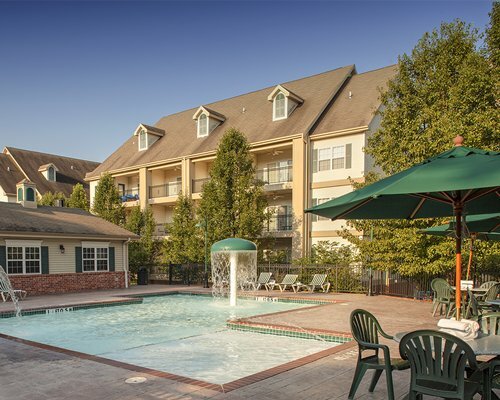 Conveniently located on the main thoroughfare in Branson, Missouri, French Quarter offers luxurious condominium comfort at an outstanding value. 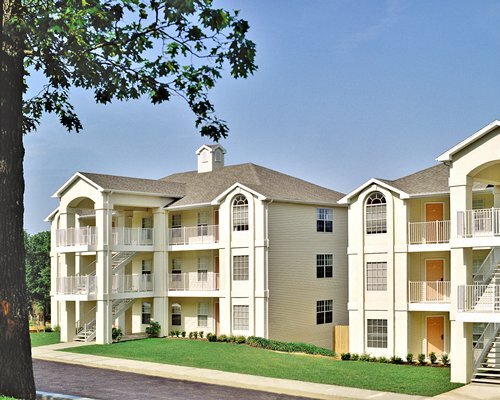 Steps away from live entertainment venues, restaurants and shops, the French Quarters' modern, spacious units will make your Branson vacation even more enjoyable. 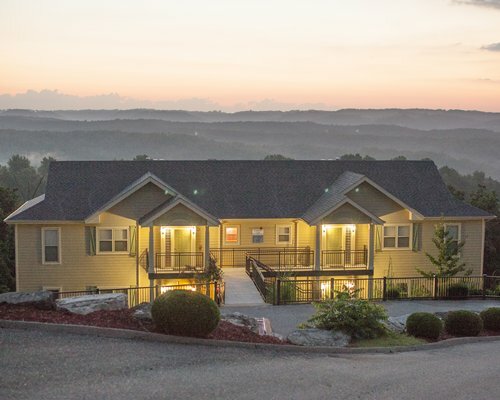 Unwind from all the day's activities by taking a dip in the pool, soaking in the hot tub, taking in a view of the Ozarks from your balcony, or enjoying a barbecue in the picnic areas. 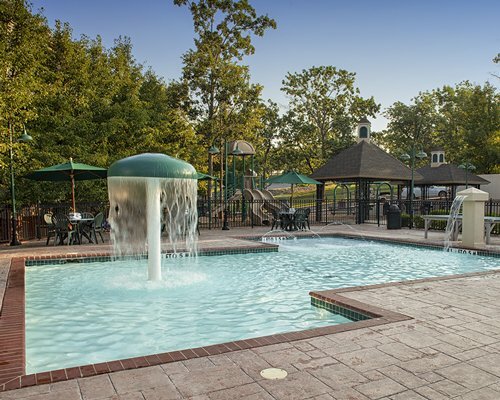 The complex also includes a children's pool, fun splash patio, shuffleboard and playground. 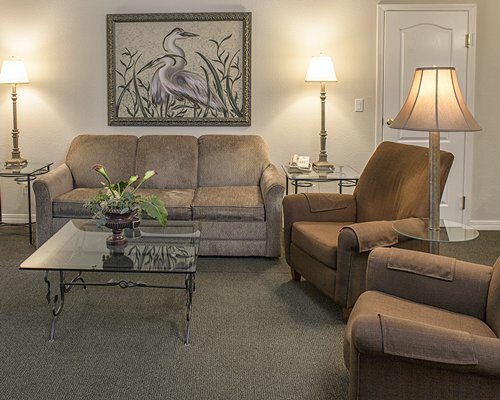 The French Quarter condominiums are spacious, comfortable, and tastefully appointed. 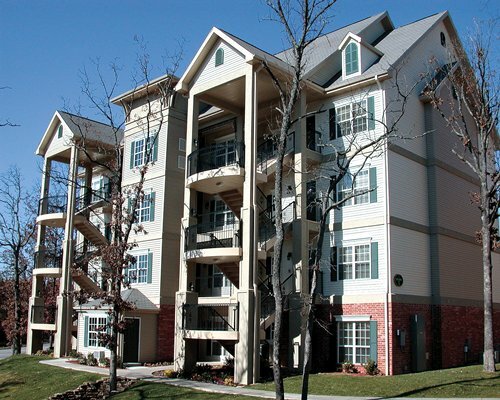 All units feature telephone, television, kitchen with dishwasher and garbage disposal, washer and dryer, and a balcony or patio. Some also include fireplaces. 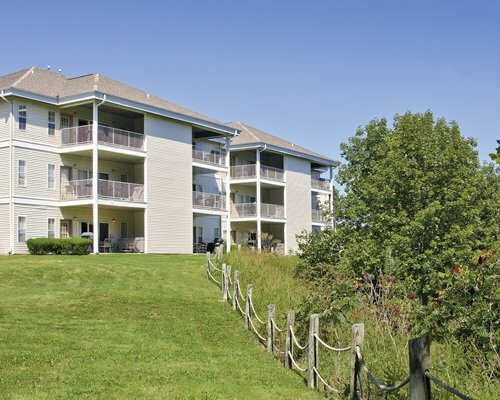 Elevator access is provided, and there are also handicapped accessible units available. 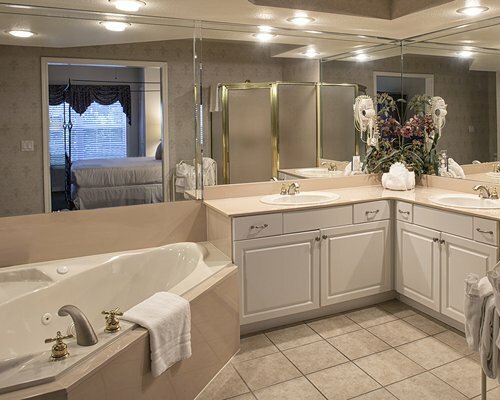 Three-bedroom units have 3 or 4 baths, 1 king bed, 2 or 3 queen beds and 2 queen sofas, accommodating up to 12 people. 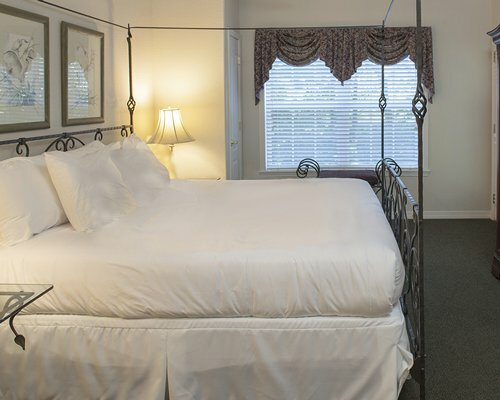 Two-bedroom units can accommodate up to 6 people, with 2 baths, 1 king bed, 1 queen bed and 1 queen sleep sofa. 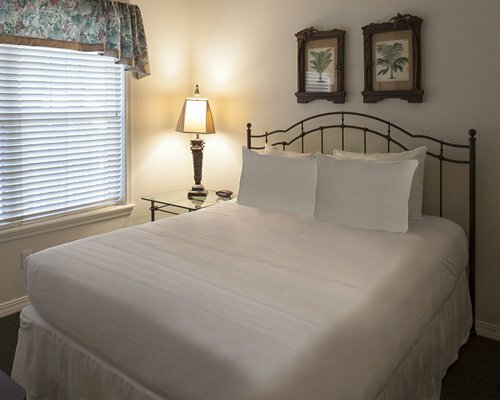 A one-bedroom unit comfortably sleeps up to 4 people, with 1 bath, 1 queen bed and 1 queen sleep sofa. The closest airport is Springfield-Branson (SFG) National Airport 56 miles away. From the airport, take 44 E to 65 S and take exit 248 West. Go right (north) on Shepherd of the Hills Hwy, then left on Hwy 76 (Country Music Blvd). Resort is 2 blocks on the right. If you anticipate check in after 10 pm call in advance for instructions. 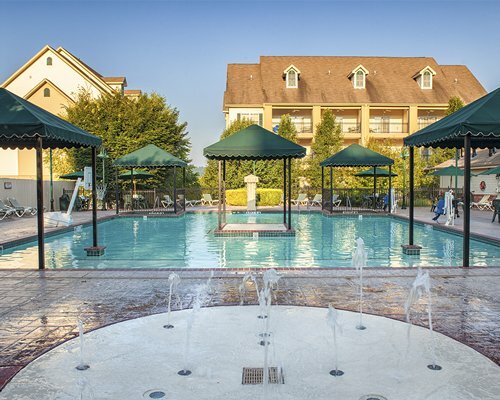 Fee for 1 Bedroom units (per stay): Housekeeping fee for all RCI points reservations: There may be a fee of 55.00 U.S. dollars for 1 Bedroom units, per stay. Cash or Credit is accepted. 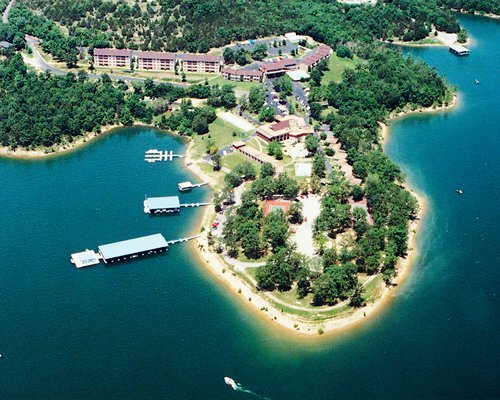 for reservations less than 7 nights. 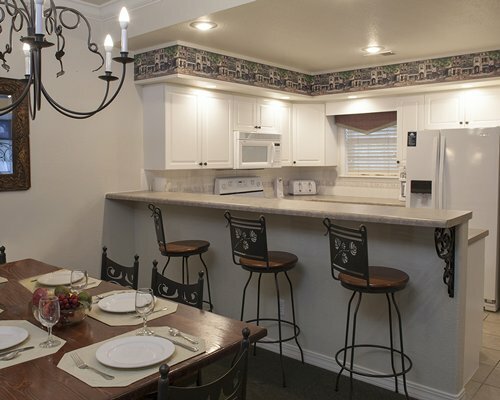 Fee for 3 Bedroom units (per stay): Housekeeping fee for all RCI reservations: There may be a fee of 65.00 U.S. dollars for 3 Bedroom units, per stay. Cash or Credit is accepted.